The Mall of the Emirates is one of the well- known shopping malls in Dubai. This multi- level mall has retail outlets, restaurants, cafes and high end fashion stores. It hosts the family leisure activities making it the largest indoor family entertainment centres in Dubai. Apart from all this there is also a theatre and arts centre and Magic Planet. This mall has 630 retail outlets, a parking space for 7900 cars, more than 100 restaurants and cafes, 80 luxury stores and 250 flagship stores. What more can we ask for! You can shop for books, toys, gifts, fashion, electronics, accessories, cosmetics, perfumes and many other things. It also has a number of cafes to just relax after a tiring day. The Ski Dubai, located inside this mall is a skiing facility which offers snowboarding, ski lessons, children’s play area and a café. It is one of the world’s largest indoor snow parks. Similarly, the Magic Planet is another family leisure unit which has ten pin-bowling alley with 12 lanes, pool and billiards tables and 180 amusement machines. 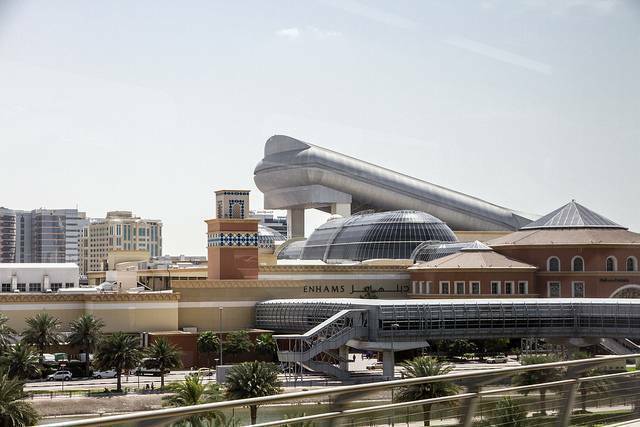 The Mall of the Emirates is a heaven for the shopaholics and a place to spend some leisure time with the whole family.